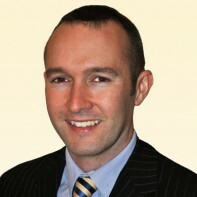 Paul Hayes, Sinn Féin's candidate in Cork South-West, has been active in the party's local organisation for almost fifteen years. The 33-year-old has served terms as both secretary and chairperson of the Sinn Fein cumann in his native Clonakilty. Hayes' only formal electoral experience to date came in 2004 when he was elected to Clonakilty Town Council. He served as a town councillor until 2009. Hayes currently works in sales and business development for the Java Republic coffee company.